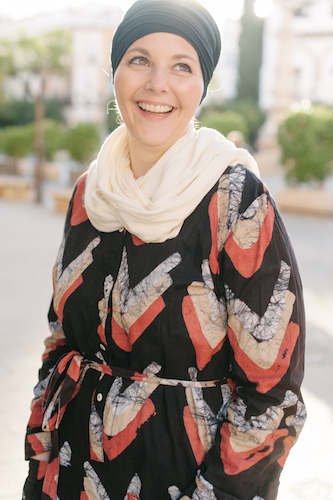 Many people have asked me how an American girl from the rural Midwestern United States ended up traveling the world and calling Morocco home. I have just one answer. I began reading before I was in kindergarten and today you’ll still find me with shelves full of books and now a Kindle loaded with even more. I didn’t fit in when I was in school and spent a good deal of time at the mercy of bullies. But, I always had my books to whisk me to faraway places that I dreamed I would one day visit. I’m not the only one. 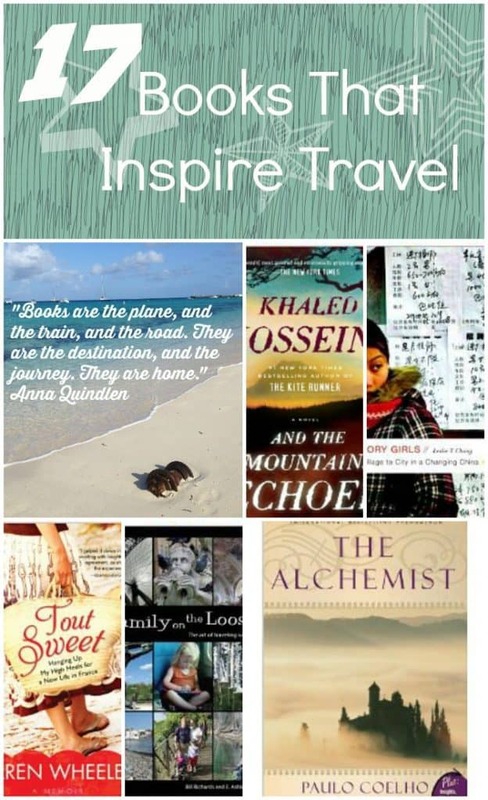 I asked some of my blogging friends to share their favorite books that inspire travel and I think you’ll enjoy their suggestions! 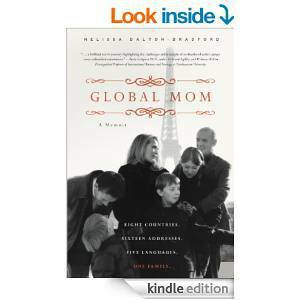 Global Mom: A Memoir: This book has inspired me to open myself to all cultures and lands and people by being a careful observer and adopting the customs of other countries. There is something beautiful and good in all cultures and it is as we live amongst people and study their ways and do our best to assimilate the good things we observe there, that we grow by leaps and bounds and develop a love for people and cultures all over the world. Melissa is an incredible example of careful observation and study and deep understanding of different cultures. Her example makes me want to see more of the world. Dutched Up because it tells you about life in the Netherlands and makes you wanna live there, too. 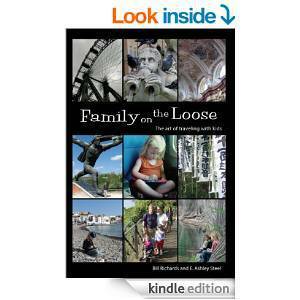 My biggest travel favourite is Family on the Loose by Ashley Steel). Oh my, there are so many fantastic ones! 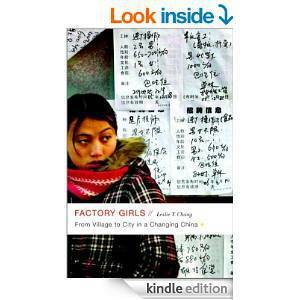 How about for China a combo of River town by Peter Hessler or China Road by Rob Gifford or Factory Girls by Leslie Chang. All for the same reason, they each bring to life the human side of a massive country in a very honest and fairly accurate way (not just stereotypes), putting names and faces on a country where the individual is often overrun by the sheer numbers of the place. I read all of these while living in China or traveling back, once upon a time when I had no children and lots of time to read and contemplate. I remember reading A Year in Provence by Peter Mayle and then immediately wanting to move to France to explore new foods, new customs, and new places, and to meet new people. The dream still stands, and I’ve made it to France several times. 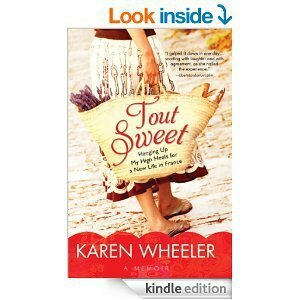 But, while I’m still in Chicago, I keep reading more travel literature books by Paris-based writers, including Paris, My Sweet by Amy Thomas; Lunch in Paris: A Love Story by Elizabeth Bard; Tout Sweet by Karen Wheeler; Paris in Love: A Memoir by Eloise James, and so many others. A girl can dream – while she reads and eats macarons. I chose some of these books from a post Becky had written for summer reading. But I think they are great anytime of year! 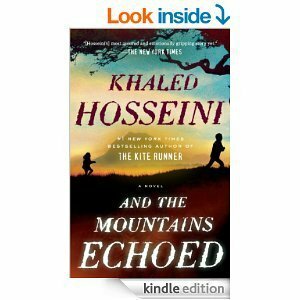 And the Mountains Echoed by Khalid Hosseini – his descriptions of Afghanistan make me dream of a day to visit. Nine Hills to Nambonkaha: Two Years in the Heart of an African Village by Sarah Erdman is written by a Peace Corp volunteer that was stationed in Cote’d’Ivoire. Both make me want to get up and go! 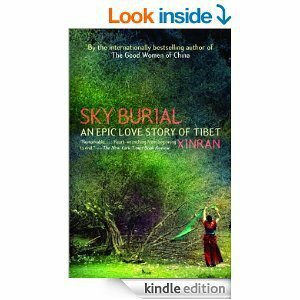 I LOVED Sky Burial, which was supposedly based on a true story told to the author. The writing was so real that I felt I was living the experience of being stranded in rural Tibet in search of my lost husband. The story ends up being about the strength of friendship, compassion and overcoming unbelievable odds to survive and thrive as a human being. It is a book I will never forget! The first book that opened up Morocco for me was Malika Oufkir’s Stolen Lives. As harrowing as the story is it intrigued me and a decade later it stuck with me as I boarded a plane for Casablanca. 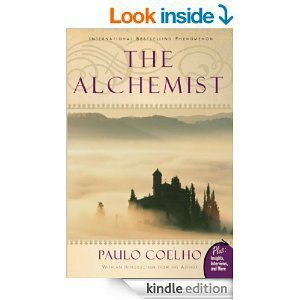 The Alchemist by Paulo Coelho really made me consider the nomadic life. The writing always felt simple but uplifting, it’s a book I’ve reread several times because it always leaves me feeling refreshed. Finally, Shadow of the Wind by Carlos Ruiz Zafon. I had little interest in Spain before reading his books. In fact it really wasn’t even on my radar. You might be surprised to discover I’ve been to the country multiple times now and am always looking for the next chance to go back! 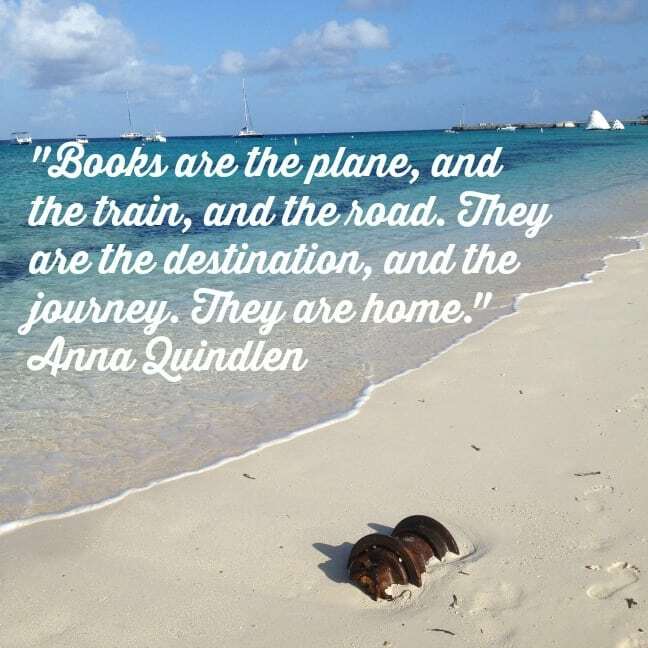 Which books have inspired you to travel? LOVE this post! I have featured it in my link love for this week 🙂 Can’t wait to go traveling now!